The centennial celebration focused on the theme “Future of Work” with wide participation from Member States of the UN. UN Secretary-General, António Guterres; President of the General Assembly, María Fernanda Espinosa; Director-General of the ILO, Guy Ryder and Representatives of Member States addressed the Meeting. The Ambassador & Permanent Representative of Sri Lanka to the UN in New York, Rohan Perera, delivering a statement on this occasion, felicitated ILO for its tireless work in promoting social justice, human and labor rights. He noted the strong history of resilient cooperation between Sri Lanka and ILO, and appreciated ILO’s efforts to promote green jobs, wages, social security, labour migration, combating trafficking, labour-based technology, gender mainstreaming, etc in Sri Lanka. The Ambassador made special reference to the importance of youth skills development, noting the challenges faced by countries in harnessing the positives of technological advancement while minimizing the negative of technological unemployment or underemployment. He also highlighted efforts taken by Sri Lanka at the UN in having July 15 declared as the ‘World Youth Skills Day’ with a view to bringing to the forefront the imperative need for bridging the youth skills gap in an increasingly technologically oriented world. 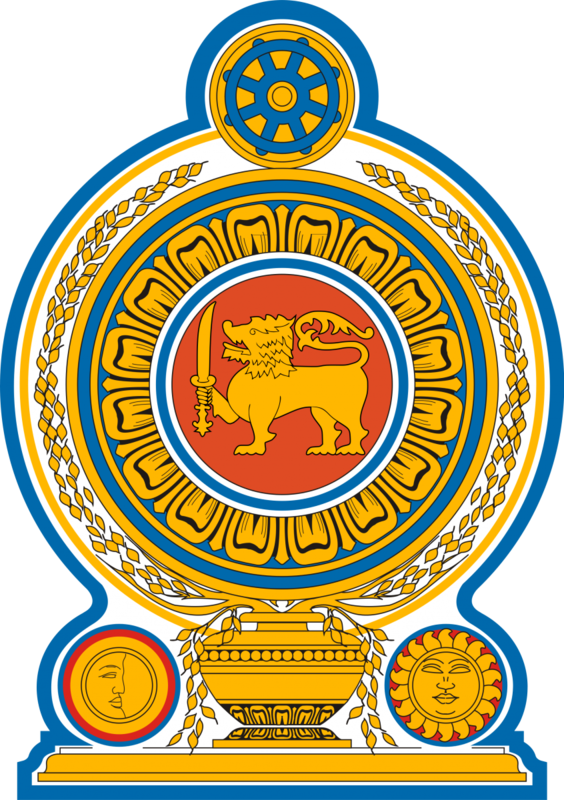 Sri Lanka became a member of the ILO in 1948 and the ILO Country Office was established in Sri Lanka in 1984. Sri Lanka has ratified 43 ILO Conventions including all eight fundamental Conventions. At this commemorative occasion of the 100th anniversary of the establishment of the International Labour Organization, Sri Lanka extends its felicitations to the ILO for its tireless work in promoting social justice, human and labor rights. Indeed the pivotal message of Social Justice acquires new meaning and relevance as we move towards the implementation of the 2030 Agenda. The ILO plays a vital role in promoting opportunities for men and women to obtain decent and productive work while enjoying basic rights such as human dignity, equality, freedom, and security. Sri Lanka has a history of strong and resilient cooperation with the ILO, since becoming a member of the organization in 1948. The ILO Country Office was established in Sri Lanka in 1984 and Sri Lanka has ratified 43 ILO Conventions including all eight Fundamental Conventions. ILO is active in Sri Lanka in a number of areas such as green jobs, wages, social security, labour migration, combatting trafficking, labour-based technology including planning of small-scale infrastructure, gender mainstreaming and so on. I take this opportunity to acknowledge the positive contribution of ILO to Sri Lanka’s social, economic and labour market development. Sri Lanka welcomes the initiative taken by the President of the General Assembly for setting “decent work” as one of her seven priorities for the agenda of the 73rd session of General Assembly, creating opportunities to discuss the pressing challenges we face, while we endeavor to achieve the 2030 Agenda. Sri Lanka believes that decent work is central to efforts to reduce poverty, and is a means for achieving equitable, inclusive and sustainable development. This requires a renewed dedication on our part to the core objectives of ILO. Reducing inequality is key to ensuring that no one is left behind. The GoSL has taken various initiatives in recent years to reduce inequality in access to services and opportunities, however challenges remain. Frontier technologies are set to change the way that people consume, produce, live and work. It is widely recognized that new technology allows a renewed lens for viewing and addressing the challenges that we face as a global society. Artificial intelligence, big data, and other technologies can assist global efforts to address poverty, hunger, education, healthcare and the protection of our environment. Digitalization can have a positive impact on the innovation strength of developing countries. We must however, ensure and take measures to have in place policies and opportunities for people, particularly our youth, to acquire the new and relevant skills, required to face these fast-changing realities. It is estimated that 4 out of 5 children entering primary school today will eventually hold jobs that do not currently exist. We must work to engage young people in these efforts and proactively ensure their involvement in the effective harnessing of technology to improve the quality and sustainability of life on our planet. The challenge is to harness the positives of technological advancement, while minimizing the negative of technological unemployment or underemployment. Youth skills development is of critical importance to Sri Lanka. In 2014, Sri Lanka and Portugal with other co-sponsors at the UN, spearheaded the call for a dedicated day for skills development that would benefit global youth. Since then events are held worldwide, on 15 July to commemorate World Youth Skills Day with a view to bringing to the forefront the imperative need for bridging the youth skills gap in an increasingly technologically oriented world and tackling the issue of youth unemployment and underemployment. May we take this celebratory event as an opportunity for governments to reiterate and strengthen their commitments in order to promote access to digital skills, foster youth training, and assist workers in preparing themselves for the opportunities ahead in this technological transition we are witnessing.